“The Abu Dhabi Awards aim to bring to light the good deeds of people from across the Emirate and honour their selfless contributions. The number of nominations to-date is testament to the desire of residents and citizens to recognise these acts of goodness and the deserving individuals. Award recipients are not determined by number of votes, but rather on a case-by-case basis according to the merits of their nominations. “Abu Dhabi awards were presented to individuals for remarkable acts of goodness. The honours were bestowed at the 4th annual Abu Dhabi Awards ceremony which took place on Sunday at the Emirates Palace. His Highness General Sheikh Mohamed bin Zayed Al Nahyan, Crown Prince of Abu Dhabi and Deputy Supreme Commander of the UAE Armed Forces was in attendance to personally present the awards and congratulate the worthy recipients. Sheikh Mohammed bin Zayed Al Nahyan underscored the commitment of His Highness Sheikh Khalifa bin Zayed Al Nahyan, President of the UAE and Ruler of Abu Dhabi to the Abu Dhabi Awards and expressed gratitude that the program continues to preserve the legacy of the nation's father, the late Sheikh Zayed bin Sultan Al Nahyan. The 2008 recipients mark the most diverse array of ages and contributions ever recognised in a single year - ranging from school children to octogenarians; from great historical figures to health professionals; from those helping people to those helping the environment and animals. "For the contemporary bride, MK Shannon offers handcrafted pewter wedding cake toppers with a modern flair. The Embrace design (shown here) can stand alone on top of the cake or alongside one of MK Shannon's silver or gold stylized heart toppers. More than 15 designs are available in a broad selection of brushed pewter, silver and rich gold finis hes. Prices range from $119 to $425. 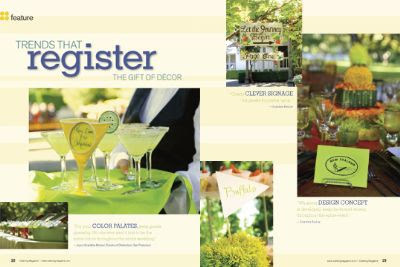 For information, call 800-542-8473 or visit www.mkshannon.com." In 2007, the American Association of Retired People (AARP) commissioned MK Shannon Awards & Rewards to create a custom award for their Best Employers For Workers Over 50 awards. This September marked the second year the AARP Best Employers program honored their winners with the MK Shannon custom award called “New Day”. This year, AARP also expanded the program to include international companies in a program called AARP International Innovative Employer Awards. There were 50 New Day custom awards and 10 International Edition New Day custom awards presented at a gala event in Washington DC in October. MK Shannon worked with Deborah Russell, Director of Workforce Issues at AARP, and Nancy Shaffer and Karen Bridges of BRAVO! Events By Design to develop the design of the New Day custom award. This was truly a labor of love for MK Shannon Awards (did we mention some of us are over 50?). It was also a fantastic team that worked well together to articulate the message of the award and express it as a custom award to honor and recognize these outstanding companies. It just reinforces the idea: communication, communication, and more communication make for a great custom award! 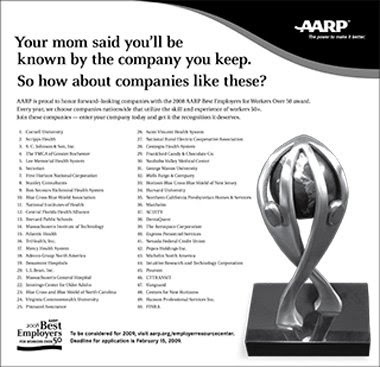 In October 2008, AARP ran this ad in The Wall Street Journal to recognize the 50 companies in 2008 that had been selected to receive their Best Employers For Workers Over 50 awards. We extend our congratulations. We were proud to see New Day pictured in the ad along with the names of those organizations receiving their recognition award. We also believe they should get the recognition they deserve! Historically artists have used their signature to mark their work. Consequently it has become a hallmark of the level of quality. Perhaps, it is simply the idea of pride of ownership. The artist signs their name to not only show ownership of the design of the work but also to announce themselves to the world along with their satisfaction with the completion of a work of art. 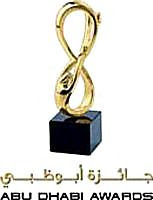 Many awards, particularly sculpted awards and even some custom awards do not carry the signature of the artist, or if the awards or trophies do carry a signature it is stamped into the sculpture. It is my belief that the work we do at MK Shannon Awards and Rewards is Awards Fine Art. 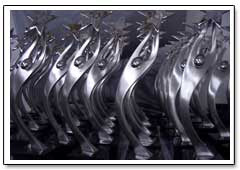 Our sculpted awards, custom awards and commissioned awards all carry my signature etched into the metal by hand. It is a mark of quality and craftsmanship. It marks the sculpted award as an original created by my hand and no other. So when you are looking for unique awards or trophies to give for achievement, recognition or motivation, look for the artist’s signature on the award. It will tell you immediately that the artist is committed to the originality and uniqueness of their work and most of all to the quality. After all, you want to give an award that will be more that a decoration or momentary acknowledgement of accomplishment, you want to give a gift or award that has enduring meaning because of its artistic design and high quality. Awards when presented are just that, something given to someone; it is a prize, an honor. However, once the event is over, and the award has been presented, it will go into someone’s home or office. Once that happens, I believe, the award now becomes something more; it becomes a focal point, something that every time it is seen, a wonderful memory is revisited. I consider my awards art in every sense. When I am creating them I want to capture a feeling or attitude so that when you look at my work you will consciously or unconsciously share my vision. It’s my hope that in this blog, I’ll be able to share with you some insight into my creative process along with my thoughts on the industry I’ve chosen as my career.